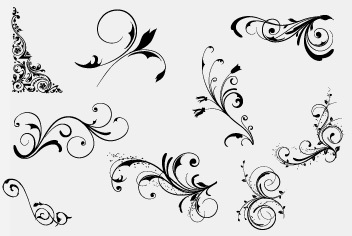 In this pack you will find some nice design elements, floral and swirls psd’s. Each element is in vector formant, which means you can modify it to suite your needs. Download the psd source file, open it in Photoshop CS or newer and enjoy!